Troon holds a 400-berth marina, fully sheltered from the bay by a artificial ballast bank created in the early 1800’s. There are 150 land berths available along with a 50 ton hoist and recycling centres. 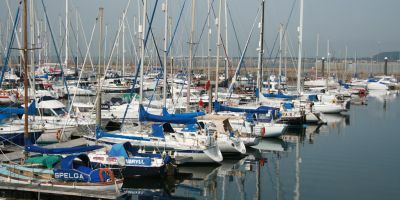 The marina also offers 24 hour toilet, shower and laundry access and is accessible at all states of tide. Wireless broadband is available throughout the marina for free and marine services are on site, including shipwrights, engineers and spray painters. Troon is a coastal resort town that lies to the south west of Glasgow. It is so named for the spit of land that the original town was built upon. The town developed mainly in the last few centuries but boasts a natural harbour and two long sandy beaches to either side. 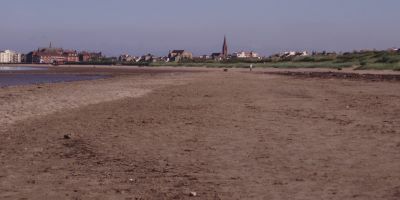 Troon Harbour, as well as the nearby coal mines in East Ayrshire, are the main reasons Troon has developed so well in the last few centuries. 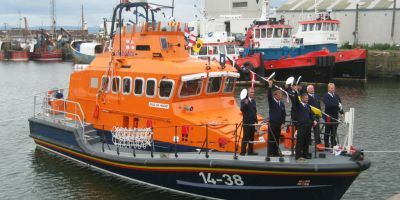 The Harbour was home to the Ailsa Shipbuilding Company from 1860 up until 2000 and indeed the shipwrights’ building still dominates the skyline of Troon. By the start of the twentieth century, Troon was one of the biggest Coal ports in Britain. The Duke Of Portland had been ferrying coal through the town via horse and cart as early as 1812 and by the twentieth century, the harbour and a special railway line had taken the job instead. In fact, Troon Railway Station was one of the first passenger stations in Scotland! The biggest attraction in Troon lies in the Royal Troon Golf Course. Founded in 1878 as a 5-hole course, it was extended to 18-holes in 1886, first held the Open Championship in 1923 and now proceeds to host it every seven years. But this isn’t the only golf course in Troon. There is in fact four golf courses all within spitting distance of each other in the East end of Troon, so watch where you’re hitting those balls. Crosbie Castle and the Fullarton Estate are worth a visit for a day. They lie to the south east of Troon and were home to the Fullarton family as far back as the 1300’s. In the nineteenth century, the Fullartons demolished most of the castle and used the remains as an ice house. This served perfectly due to the natural underground river that ran through the dungeons. This is what mostly remains of the castle today. The manor house was demolished and converted into a public garden. The estate offers great views and a lovely day out, steeped in local history. For food, there is no place better than MacCallum’s Oyster Bar, situated near the end of the natural spit and right next to the harbour. The food is freshly caught and cooked beautifully with large portions. The staff are friendly, helpful and quick and you can be sure that you’re never waiting too long. That said, Scotts Restaurant has been picking up the Awards recently, and is actually in the Marina itself - well worth a visit! If seafood isn’t to your taste, you should try the Piersland House Hotel. 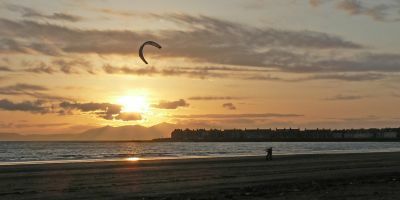 Situated more inland and east of Troon, the service is polite and the décor tasteful. A dinner here in the evenings is a perfect way to round off a day trip at the Fullarton Estate. You have numerous choices. You can sail all round the firth of Clyde and head into the city of Glasgow itself. Sail west to N.Ireland or go round the Mull of Kintyre and head north up to the islands of Islay, Jura or Mull which many visitors do to follow the whisky trail. You can of course go even further north to Skye or Raasay. The options are endless in this magnificent sailing ground on the west coast of Scotland. Long / Latitude: N 55° 32' 45" W -4° 40' 28"
We do our best to keep this information as up-to-date and accurate as possible, but obviously we can’t be everywhere at once. If you are aware that any information on this page is incorrect, please let us know by emailing marina@plainsailing.com. The nearest airport is Glasgow Prestwick Airport. It lies just 5km away from the town centre and will take only 5 minutes by car to reach the town centre - try 8'Ees Cabs on 01292 318181 if you need a lift. There is a direct train running from Glasgow Prestwick Airport that takes around 3 minutes. From there, it’s a short walk to the marina. (Check www.thetrainline.com for specific times and prices). The train usually comes every 15 minutes. Coaches run from Glasgow Central and will only take around an hour in total. This is slower than the train, but cheaper. Approaching Troon from Glasgow is the easiest way. It lies to the South West and the journey takes around 45 minutes to complete. Free Parking is available at the marina.